All newly accepted graduate students are encouraged to attend our in-person orientation programs. We have created this page to serve as a repository for orientation-related information and to serve as a resource for those unable to attend. Please be reminded that in order to secure your place in the incoming class and be eligible to register, you need to submit a $100 enrollment deposit. Deposits can be submitted by check made payable to TCNJ or online through PAWS using the username and password provided to you after you submitted your application. (If forgotten, usernames and passwords can be retrieved at the Account Lookup page.) The enrollment deposit is non-refundable but will be entered as a credit toward your student account. All students are encouraged to contact their program coordinator for academic advisement (e.g. course selection). Course schedules are available per term through PAWS (click on Class Schedule/Course Catalog). Once you have communicated with your coordinator, you may register for classes. 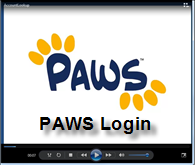 Registration and all student records activities are handled through PAWS. For information and a tutorial on how to navigate the system, please visit https://pawshelp.pages.tcnj.edu/. 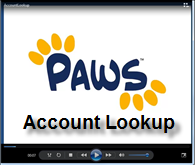 In order to look up your account information to log in to PAWS, please visit Account Lookup and enter your PAWSID. If you do not know your PAWSID, please e-mail graduate@tcnj.edu. If you need assistance with PAWS, pelase contact PAWSHELP@tcnj.edu. There is an add/drop period at the start of each semester (dates are listed on the registration calendar). It is the responsibility of all students to drop courses they cannot attend and to pay for any balance due by the appropriate deadlines according to the billing calendar. 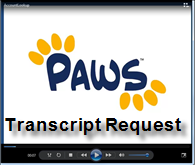 Official TCNJ transcripts can be accessed through PAWS. Contact Student Accounts for information on tuition and fees, bills, due dates, tuition insurance, refund policies and payment plans, as well as student ID cards and parking stickers. Please note that billing is done electronically; therefore, please be sure to check your TCNJ e-mail regularly. Contact Student Financial Assistanceregarding deadlines and processes to apply for financial aid. Students are required to complete health forms and submit immunization records to the Office of Health Services prior to the start of the semester. A registration hold will be placed on accounts of those students who have not provided this information. Please be sure to read this important information about Student Health Insurance. All full-time students will automatically be billed a health insurance fee and enrolled in the Student Health Insurance plan. If you wish to waive the health insurance coverage, you will be receiving an e-mail via your TCNJ account shortly after registration with further instructions. If you have any questions regarding the health insurance waiver, please contact the Office of Student Accounts. To retrieve your TCNJ e-mail username and password, visit Account Lookup. TCNJ e-mail is considered the official form of communication at the College. It is your responsibility to read College e-mails. For additional technology resources and assistance, visit the IT Web page or call the Help Desk at 609-771-2660. For library hours and an orientation to resources and services, please visit the library Web site. Room 413 is designated as a graduate student study room.